The underdog hero Captain Toad needs help! He and Toadette will do anything for treasure. The two intrepid explorers tackle near-insurmountable obstacles like smoldering volcanoes, rickety mine carts, haunted houses and even fire-breathing dragons. Talk about perseverance! In the Captain Toad: Treasure Tracker game, launching exclusively for the Wii U console on December 5, players must muster their own courage to help Captain Toad and Toadette tackle maze-like levels full of tricks, traps and enemies. 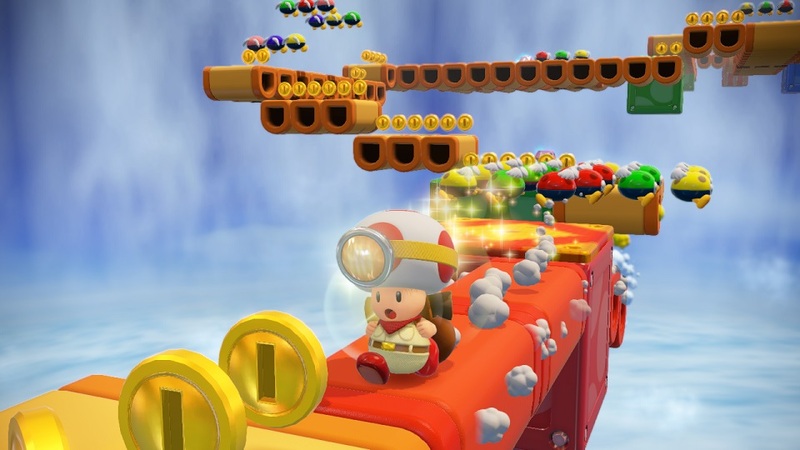 Captain Toad: Treasure Tracker finds players donning their own trusty head lamps to journey through more than 70 colourful and imaginative levels. Each level is a self-contained puzzle full of surprising obstacles and creative challenges that can only be solved by viewing the world from different angles using the Wii U GamePad controller. With Super Gems and Power Stars hiding in every nook and cranny, power-ups ready to be grabbed and many unlockable secrets, Captain Toad: Treasure Tracker is overflowing with treasures. 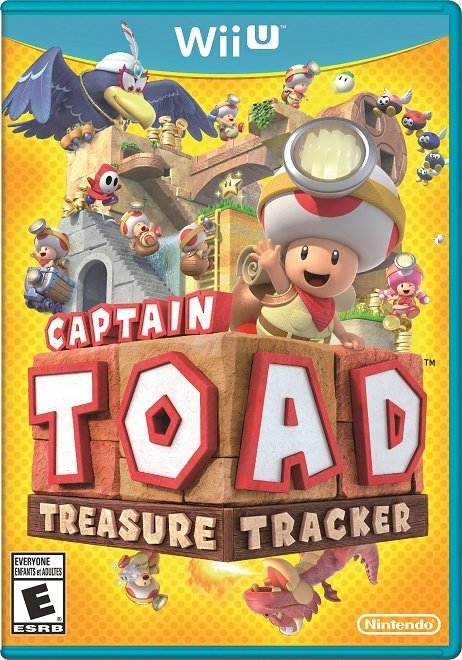 And tracking treasure is what Captain Toad and Toadette do best. When the giant bird Wingo accidentally whisks Toadette away at the start of Captain Toad: Treasure Tracker, it’s up to Captain Toad to rescue her. But Captain Toad isn’t the only one doing the rescuing. When the roles are reversed and Captain Toad is later taken by Wingo, Toadette has to risk life and pigtails to save the captain. The goal of every stage is to find the coveted Power Star, but Captain Toad and Toadette can also gather hidden Super Gems, 1-Up Mushrooms and shiny gold coins. 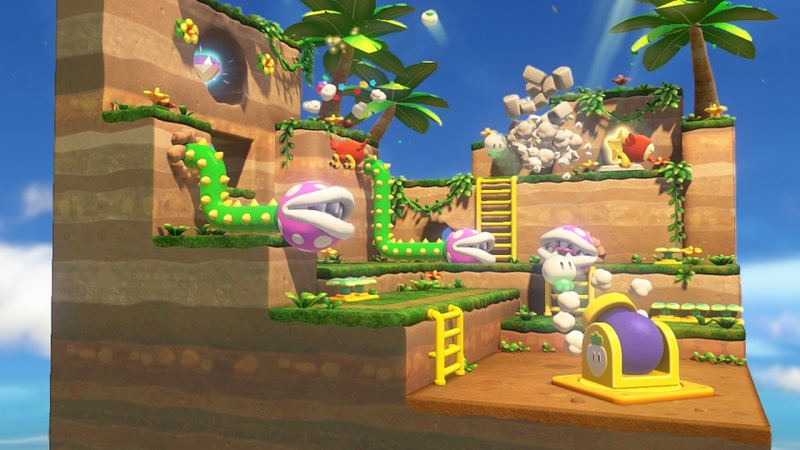 Players can also complete a specific challenge on each stage like “Slipped Past All the Shy Guys!” that will unlock additional levels in the game. Equipped with a head lamp, backpack and fashion-forward kerchief, Captain Toad and Toadette look ready for adventure, but there’s that pesky problem of not being able to jump. But not to worry! By using creative thinking instead of fancy footwork, players have numerous ways to reach the Power Stars. They might need to pluck turnips to throw at enemies, ride in mine carts to reach the goal, grab helpful power-ups like the brick-breaking Super Pickax or multiplying Double Cherry, or spin the camera around to discover hidden passageways. Players can even tap the touch screen on the Wii U GamePad to deal with troublesome enemies. The amount of variety and creativity in the game is staggering and keeps getting better and better as the game progresses. The adventure in Captain Toad: Treasure Tracker doesn’t just end with the main story. Players that have Super Mario 3D World save data present on their Wii U systems can immediately unlock bonus content in the form of Super Mario 3D World-style stages. After completing the game, the Super Mario 3D World-style stages will also unlock for players who don’t have the save data. There are also “Mummy-Me” stages that find Captain Toad being chased by a mummy that resembles Captain Toad. Captain Toad: Treasure Tracker will even support amiibo functionality. Nintendo will reveal more details about this cool feature in the future. Captain Toad: Treasure Tracker will be available in stores, at Nintendo.com and in the Nintendo eShop on Wii U on December 5 at a suggested retail price of $44.99. This game is rated “E for Everyone” by the ESRB. This entry was posted on Wednesday, December 3rd, 2014 at 10:22 am and is filed under Everyone, National News, Platform, Upcoming Releases. You can follow any responses to this entry through the RSS 2.0 feed. You can leave a response, or trackback from your own site.